John 5 is one of those artists that you don’t know what to expect before your first meeting. He’s obviously an insanely talented guitarist with a resume a mile long. He’s worked with Marilyn Manson, David Lee Roth, Meatloaf, Paul Stanley of KISS, Saliva, k.d. lang, Salt-N-Pepa and many more. His job for the past few years has been with Rob Zombie and the two of them have something magical going on. In between touring with Rob Zombie and writing songs for other artists, John 5 even finds time for a solo career. His new solo effort God Told Me To just came out and we had the chance to sit down and talk to him about it. Music Is My Drug Of Choice: Hey John, thanks for working us into your busy schedule. I guess this is media day for you. I know you have a lot on your plate today, so let’s jump right into the questions here. Let’s talk a little bit about this new solo album and the new direction that you chose for some of the songs. John 5: Well, thanks for wanting to talk to me. You know, the whole key to putting out instrumental solo albums is to keep the fans on their toes. I’ve done heavy rock to country and it has gone really well for me. So, I asked myself what I could do to change it up and make it new. That’s where the acoustic stuff came into play. MIMDOC: Have you been a fan of acoustic music already or was this something that you just wanted to explore? 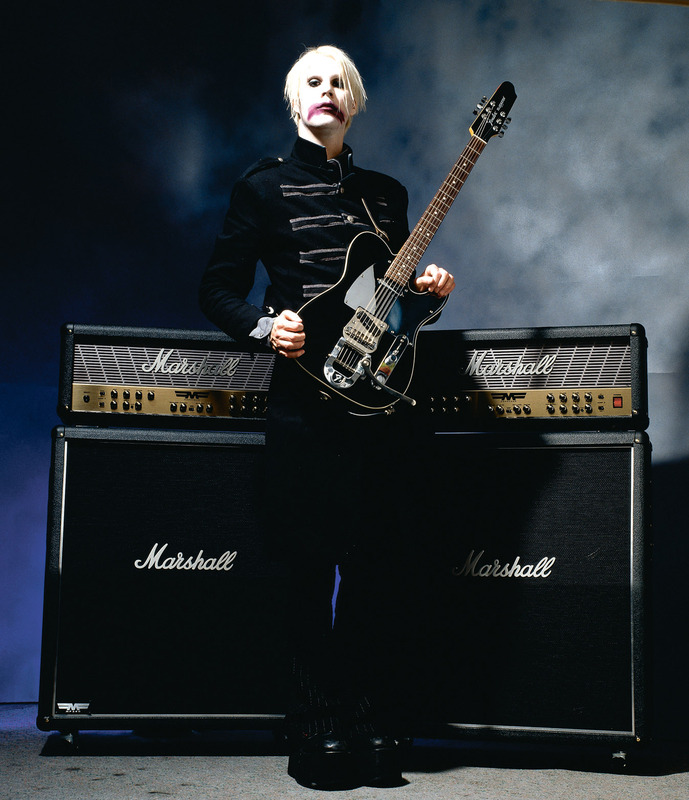 John 5: I absolutely love electric guitar, but some of my favorite (Led) Zeppelin stuff is their acoustic stuff. It’s absolutely amazing! I love all types of guitar playing. When I put my iPod on shuffle, it has so much diversity, but that’s just who I am. MIMDOC: Did you work with anyone on this album? John 5: No, I pretty much did everything on it. I played all the instruments with the exception of drums. My producer Chris Baseford helped me out. Other than that, it’s all me! MIMDOC: What’s the appeal of going out and doing a solo album after getting off the road with Rob Zombie? John 5: It’s a great outlet for me and almost therapeutic. Crazy, instrumental guitar music is close to my heart and so very important to me. It allows me a canvas to paint on and to do things I can necessarily do with Rob. He doesn’t want every other bar on his song being a solo. MIMDOC: Will your fans ever have a chance to hear any of this live? John 5: I don’t think I will be doing and live dates, but you never know. It’s tough because a lot of my fans are really young and they can’t get into some of these clubs. It’s really late when we go on, sometimes close to midnight and there’s beer everywhere. My younger fans can’t always be a part of that. I will probably go more guitar clinics. They seem to be the best way to go. My younger fans can come to them and I have more time to meet people there and sign autographs. MIMDOC: I have to ask you about the title of the album. Is there any hidden meaning there? John 5: I love the title and it can be taken many ways. When I was really young, I would only go to church once or twice a year, like on Christmas Eve, and I would pray for God to make me a successful guitar player. So, in one way, when I’m asked on why I picked up a guitar, it’s because God told me to. On the other hand, I just love it in one of those creepy movies where a guy murders a bunch of people and they ask him why and he says “God told me to”. MIMDOC: The cover is really cool! So, did you ask Rob to paint it for you or was it something that he offered to do? John 5: I actually approached him asked him what he thought about painting the cover to the new solo album. He said that he’d love to do it. It’s as simple as that! MIMDOC: Speaking of Rob, how was it scoring his film The Lords of Salem? Was that your first score? John 5: That’s the first full length movie that I have scored. I’ve actually done pieces of other movies. It was actually very challenging for me. It’s so different to create music using so many different instruments, but I loved it. It pushed me as an artist. MIMDOC: That’s a great transition for my next question. Your first solo album called Vertigo came out in 2004. How does the artist who created that album differ from the artist that created God Told Me To? John 5: Wow, that’s a really good question. I remember when I starting recording Vertigo, I wanted it to be all instrumental, but I was very careful. I held back from doing things at times, but now if I want to put in a crazy solo or two, I will. I think there are some really good songs on Vertigo; very well structured. MIMDOC: Where did the fascination with horror and the face makeup come from? I know you’re a big KISS fan and especially Ace Frehley. John 5: Well, I have loved classic monsters since I was really young. You know, Dracula, Frankenstein and stuff. I remember buying KISS’ Love Gun album just because of the cover. That was the first album that I ever bought. It was awesome! That picture reminded me of those monsters that I loved. MIMDOC: I’m a huge KISS fan too and I wanted to ask how you ended up working on the last Paul Stanley solo album Live to Win? John 5: I’ve known Paul and Gene for quite a while now, as well as Peter and Ace. Paul was working on his solo album with Desmond Child and I had worked with Desmond when he was recording with Meatloaf. He suggested to Paul that we write something together and we did. KISS has definitely been a major influence on me. When an artist goes on stage to entertain, then they need to go all out and make sure that they entertain the crowd completely. Those guys are just about the best example of how to do that correctly! MIMDOC: One last question for you John and we’ll wrap this up so that you can get back to work. Do you have any guilty pleasures that may surprise your fans? John 5: Well, I’m not sure how much it will surprise them, but I do love those old horror movies with Frankenstein and Dracula and all those guys. I always watch about 20 minutes or so of one of those old movies before I go to bed, each and every night. MIMDOC: That wraps up our time with you John. Thanks again so much for taking time out of your very busy schedule to talk with us. We plan on being at Rock on the Range in Columbus this year covering the show, so we will see you there. We also want to remind fans that your new solo album God Told Me To is out and to go buy it!